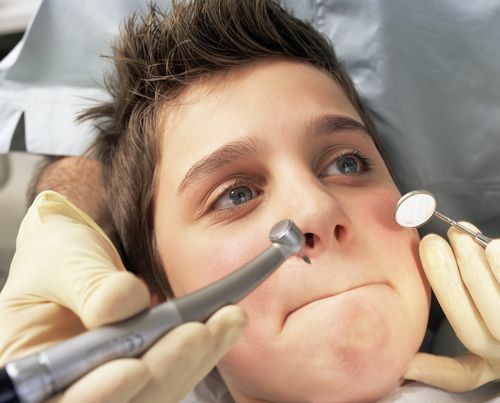 Being afraid of the dentist can have many causes and mean different things to different people in our society. We at Dental Planet in Rojales, Spain, understand patients with dentist fear, and do everything to make the dental treatment procedure as gentle, pain-free and comfortable as possible. People with dental phobia or fear of a dental treatment may have had aa negative experience with a dentist or great pain at an earlier dental treatment. Some patients may have not been instructed about the procedure and had the feeling of being at the complete mercy of the treating dentist. There are many reasons why one develops dental fear. Very often just the typical smell of a dental practice is enough to trigger feelings of stress and fear. If you are afraid of the dentist, it is of great importance to inform us before your first appointment, Please, tell us what exactly it is you are afraid of, what you don’t like about dental visits or how you want to be treated. We want to help you to overcome your dentist fear and any information you can provide is vital for us. Advanced treatment methods and modern equipment allows for a gentle, pain-free and precise dental treatment. With state-of-the art equipment and a combination of kindness and gentleness we can do a lot to make your dental treatment stress free. We also offer dental treatments without injections, drilling and grinding of healthy tooth enamel. For example, anterior teeth defect can be corrected without pain and relatively fast with veneers or non-prep veneers (very thin veneers). You can call us: phone: (+34) 96 671 72 36, or send us an email. Dental Planet, your English-speaking dentist for Implantology and dentures in Spain, Rojales, Torrevieja, Alicante.